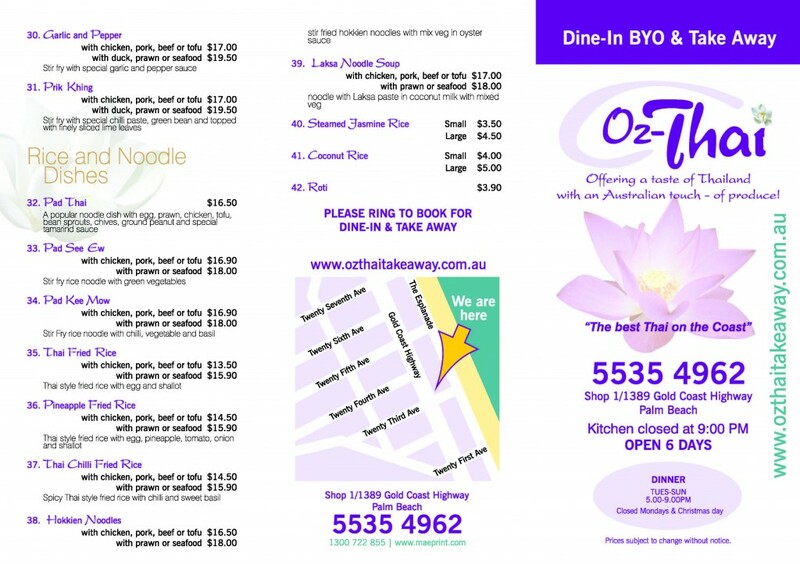 we cannot be held liable for mistakes or misprints within our website. 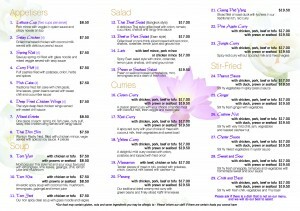 We are based in Palm Beach on the beautiful Gold Coast in Queensland, Australia. 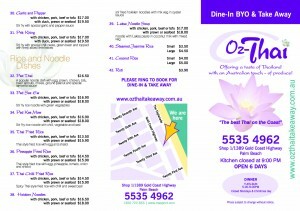 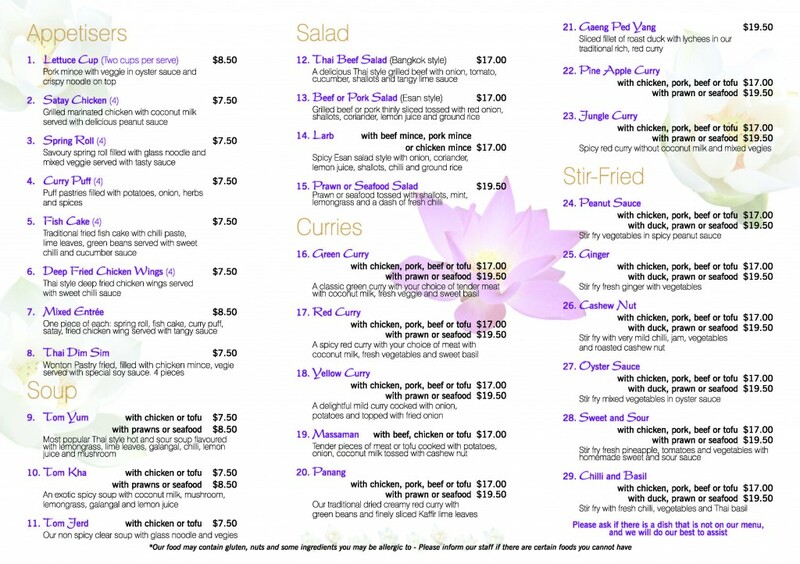 Oz Thai has been serving customers our special style of genuine Thai food since January 2008.